I’m Lucky I Came Up For Air When I Did! So there I was, keeping my head under the social media radar for the last few weeks, focusing solely on my manuscript, Souled, when what do I find waiting for me when I come up for air? 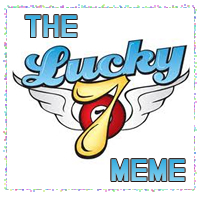 My WANA sista, Angela Orlowski-Peart, awarded me the Lucky 7 Meme! Just the thing I needed to lighten up the mood around here. I’ve always loved Angela’s blog because her topics are diverse, light-hearted, and always fascinating. I’m positive you’ll love the way her personality shines through each word she puts to page. Silence yourself. Feel, rather than think. I tried for a couple minutes. I really did. In fact, my focus was so intense that I think I’d developed a permanent crease between my brows. The battering kept up, pelting me with shots of emotion, but finally walls began building up around my mind, blocking out one emotion after another, until there was only one feeling left – elation. I dropped my hands to my sides and my eyes slowly opened, expectant. Then my gaze tore through the crowd like a predator sensing its prey. The source was close. Very close. Ah, there it was behind me. At a cash register stood a boy, 12 years old maybe, his face dominated by a toothy smile. On the other side of the counter, a clerk slapped a receipt onto a brand new Xbox. The boy’s scrawny arms wrapped around the box and pulled it off the counter. He sprinted, the box crowding his arms, and headed straight towards me, his mother trailing behind. I ignored the woman and instead focused on the boy. My energy tapped into his and sucked it in like a vacuum. To me, it felt wondrous and exciting; he didn’t feel the same way. He looked as though he’d smacked into a wall. He froze, his eyes latched onto mine, his mouth dropped open, and for a moment his head cocked to one side as if he were reading something he didn’t quite understand. The boy forced his eyes shut, for a minute covering them with his arm as if the darkness alone wasn’t enough. Then grabbing his mother’s sleeve, still struggling with the box, he ran in the opposite direction. Ha! That was freakin’ awesome. There you have it. Look for the release of Souled this spring! Who’s next on the list to give us a sneak peak at their upcoming work of art? I hope you take a moment to check out their blogs as well! So starts her official author biography, but it’s not that cut and dry. There is so much more to this talented writer than meets the eye. I’ve known Naomi for the last nine months (another one of my WANA sisters) and have gotten to know her through her incredibly colorful and feel-good blogs, but I never knew how much about her I didn’t know. Here’s what I found out about this special woman. 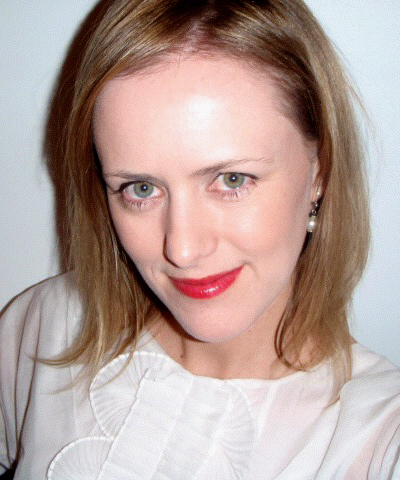 Naomi grew up in the Blue Mountains, north-west of Sydney. She and her family lived in the countryside, deep in the Australian bush, in a home without electricity, running water, or a telephone. She was fortunate to be able to spend her teen years exploring the rain forest and bracken fields that made up her homeland. At the age of 19 she moved to Sydney, and later lived in New York, where she worked as a foreign correspondent. After graduating from college, she began her professional writing career. She has been a professional journalist and copywriter for more than 15 years, specializing in magazine feature writing and online publishing. She was the editor of one national and one international print magazine, and wrote feature stories for several others. Naomi has been published in several magazines in Australia and the US. She was editor of two magazines, and broadcast to more than 100 radio stations while senior journalist at Le Gras News. She is the author of two nonfiction books, Talk Without Being Interrupted and Seventeen Summers (both out of print), and her poetry was included in the Australian Poetry Encouragement Award anthology in 2002. Hmm…all of a sudden my cookie baking for the senior citizen home doesn’t seem so monumental. Seriously, though, Naomi is awesome, isn’t she? Now here are some more questions she was generous enough to answer for us. Naomi, you are a journalist, using facts to create your stories. Does some of that bleed into your fiction writing? Hmm, I’m not sure if this is because of journalism, but I do use facts within my fiction. Not just places and names and world events, but real-life happenings. For example, there are a lot of ‘stories within stories’ in Airmail, and many of those stories are true. They are my stories, or stories that belong to my friends. Where the fiction comes in is that I gave those stories to my character, Anouk, and her reactions and responses to those experiences in her life were completely different to my or my friends’ reactions. So those stories took on a life of their own, and you could no longer call them facts. Who came first, the journalist or the writer? Definitely the writer. I was writing ‘books’ at the age of six: scribbling stories in stapled-together note-pads, illustrating them, and making cardboard book covers. I never wanted to be a journalist, in fact I think I was quite a snob about it. At university, I saw “journalism versus novel-writing” as akin to “graphic design versus fine art.” I fell into journalism later, because all I seemed to do in any job I had was write, and I was lucky enough to have a wonderful editor who took me under his wing and mentored me throughout my early career. Nowadays, I recognize how the one profession supports the other, and I believe (I hope) that the practice of straight-talking, authentic, plain English journalism has helped me improve my fiction writing. What do you like best about being an indie writer? I never intended to be an indie writer. Airmail was first accepted for publication by a small publisher here in Australia. It was a university publishing house, and when our federal government cut funding (almost all universities in Australia are public, not private), the publishers had to close down and all contracts including mine were cancelled. We were part of the way through editing at that stage. I let the book sit on the backburner for a while, because I knew it would never be a mainstream seller: a novella… in the magic realism genre… by an unknown author? Fat chance! Eventually, when I returned to Australia from New York, I decided to think again. Exploring the indie route for this book was a direct response to my assessment of Airmail’s limited potential for mainstream sales. I chose iUniverse because they work with commercial editors and I was willing to pay a little more to have a truly professional product at the end. I am not vain enough to think I know everything about what it takes to have a good published book, just because I’m the author. I wanted this little story to get the well-rounded treatment and be the best I could make it. It was professionally edited, professionally sub-edited, professionally proofed and professionally designed. The ‘indie’ part meant I had power of veto against these recommendations if I wanted to use it, but I rarely did. I do still struggle with being attached to the stigma of indie writing. And I don’t have the flexibility that some indie authors have of managing their own price-points or fully controlling their own edits or cover design. I wish I could say “Airmail is only 0.99 on Amazon for Mother’s Day,” but I don’t get any say in that. What has surprised me, most pleasantly, about taking this route is the community of other indie authors, editors and book bloggers I discovered online. I’d never even heard of ‘indie publishing’ before Airmail was already on the shelves. Now, I am part of a groundswell movement. That’s fun. Do you have another project in the making? Yes, I’ve been working for a long time (longer than I care to admit) on a novel about a sommelier who is on a quest for an ancient and glorious wine. It’s a little bit dark, because my hero is really an antihero who will do anything it takes to gain his prize, in the belief that he is the only one truly worthy. I guess it’s a bit like Perfume: the Story of a Murderer by Patrick Suskind, although not that dark. This book is a lot of fun to write, because it combines so many things I love: a mystery, a love story, wine, art, archaeology and travel. I hope to have finished the first draft by the time the baby arrives, but who knows how that will go. 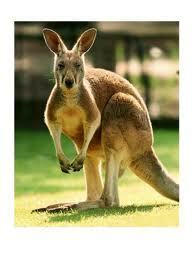 You live in Australia, a place that many people would love to visit. Where would you love to visit (somewhere you have never been)? How long have you got? Greece has been on my bucket list since high school, I want to visit the Delphic Oracle. The aurora borealis is something I have always wanted to see, and I’ve never been to Iceland, so a northern trip could be on the cards. I want to travel through Cambodia, and one day when things calm down in Africa, I will visit Kenya, Zimbabwe, Ethiopia, and so many other countries. Same goes for Egypt and Jordan. Basically, name the place I haven’t been, I want to go there! Before I let you go, where can your readers find you? One more bit of unfinished business…I put all of your names into a box and had my son, Jesse, draw a name. And…the winner of a paperback of Airmail is….Angela Peart! Congratulations, Angela! Thank you so much, everyone, for your support! I’m sure we’ll do it again when Naomi’s next novel is released! I don’t know about you, but I love, love, love getting a letter or greeting card or email from my friends and family. I tend to get wrapped up in their daily goings on, or whatever person or event is causing them grief or joy. Sometimes I’ll hold on to the letter or save the email so I can read them over and over again just because of what is written, how it’s written, or just…because. I so adore my friends and family. I’d imagine some of you may feel the same way. 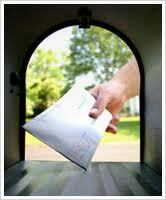 But how would you feel if you received a letter, addressed to you, from overseas, from someone you didn’t know? How would you feel? Wouldn’t you be curious? Well, that’s what happened to Mr. G.L. Solomon, living in Sydney, Australia. In Naomi Bulger’s novella, Airmail, his very lonely, very mundane, very routine life takes a turn when he receives a letter from a woman he doesn’t know, who lives in New York. This odd, mysterious, quirky woman, Anouk, continues to write letters to him, confessing the random workings of her mind, and he continues to read the letters, still content in his life, sitting in his home halfway across the world. Until, that is, one day she writes him, claiming to be writing from “the other side.” Believing Anouk is in trouble, Mr. Solomon steps out of his comfort zone and into her world in New York, leaving all that is familiar to him, determined to help her in any way he can. What happens from that moment on, can be nothing but life changing for Mr. Solomon. Airmail is a brilliantly written novella by Naomi Bulger. It’s one of those stories that lingers in our minds long after the book is tucked away. I had the opportunity to hook up with Naomi this week and ask her a few questions about the story, and I am thrilled to share our conversation with you! I love the premise of Airmail. What inspired you to write it? Were the characters based on anyone you knew? Thank you! If I’m honest, insomnia inspired me to write Airmail. I originally had a completely different story in mind, one in which a girl traveled the world writing letters to a stranger, and through those letters the stranger (and the reader) would learn about her adventures, her romances, her journey. But while I was writing I went through a particularly bad bout of insomnia, and I guess it really messed with my mind. It probably didn’t help that I wrote under a flickering fluorescent light a lot of that time, too. Before I knew it, the girl had a ‘reverse stalker’ and within a very short period of time, she was (or believed she was) dead! She never got to leave New York. I struggled for a while with trying to wrestle the book back to my earlier vision but, in the end, I gave up and decided to keep writing and see where the story would lead me. To answer the second part of your question, the characters aren’t based on people I know, but the old man, Mr G.L. Solomon, was created in part by a close friend. I was struggling to write the character of an old man in a way that convinced even me, let alone anyone else. So I work-shopped him with my friend, an actor. I gave my friend a brief outline of the old man’s character, then started posting letters. I would hand-write the letters in the character of Anouk, and send them to my friend’s house (addressed to Mr G.L. Solomon) in airmail envelopes. I even pasted used US stamps onto them so they seemed to come from New York, rather than my Sydney house around the corner. After reading the letters, my friend would talk with me about the old man’s reactions. Things like, “He can’t read Anouk’s handwriting” came first. Then “He has developed a routine around how and when he reads the letters,” and, “He used to be annoyed when they came, but now he is curious to know more.” Together, we built up a picture of this curmudgeonly old man, who is so very real to me today. How long did you take to write Airmail? This was a quick book to write, I’d say only six weeks. But that was the first draft. Subsequent drafts and work with editors in both Australia and the US took literally years. Is there a message in Airmail that you want readers to grasp? I don’t think I wrote Airmail with a message in mind, it’s not a book that’s intended to teach. That said, I think the central message that came out of this book is to “own your own stories.” Things happen to us in life: the very good, the very bad, and a whole lot of everyday stuff in between. But if we try to edit any stories out of our memories, even the bad ones, we are not being true to ourselves. Everything that happens to you in your life helps make you who you are, that unique and special you. Airmail has a very unique cover. Who did the design work? I love the cover of Airmail, it was done by my publisher’s in-house designers. I talked with them about the kind of mood I wanted to create, for example the vintage postage feel, and sent them some Polariod photographs I had taken myself during my research for Airmail. But I was prepared for something completely different, and willing to accept their marketing know-how over my aesthetic. They came back with this cover, even using some of my Polariods on the back, and I just loved it. This is definitely a not-to-be-missed read. And….no book review would be complete without a giveaway! So go ahead and leave a comment below, be it a question or random thought, and I’ll put your name in a hat, from which a winner will be drawn and announced tomorrow. Speaking of tomorrow, I’d love it if you would join me when I give you the low-down on Naomi. She so deserves a day of her own…Yeah, she’s that good.